Servicing all suburbs of Melbourne, PrecisionTech Building Concepts Pty Ltd is a high-end, boutique residential construction company. We offer a highly personalised service and exceptional finish to the most discerning of home owners. 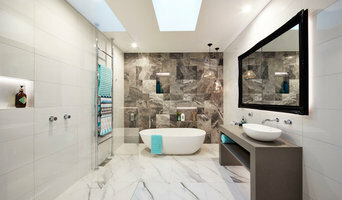 We specialise in new homes, extensions, renovations and restorations. We undertake an extensive range of projects, from brand new builds to restoring some of Melbourne's most prestigious landmark homes. 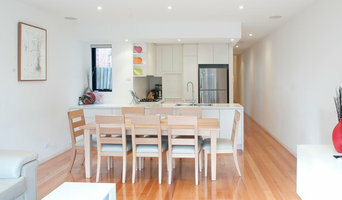 7 Towns Renovations is a boutique building company in Melbourne offering complete design and build renovation services. Our team consists of an award-winning design and management team which shares a combined 40 + years of local and international design, project and construction management experience. Through our carefully developed processes, we will guide you through all of the necessary stages of your renovation from inception through to handover to ensure your project runs smoothly. With history built on customer satisfaction and quality workmanship, you can be rest assured your renovation project is in good hands. TITLE Building Projects are domestic builders with a focus on quality new homes, extensions and renovations across inner Melbourne. We specialise in boutique, design-focused projects. As boutique builders, we don't mass-produce homes, so we provide personalised service at every stage and customise your home exactly to your taste and preferences. TITLE has an extensive pool of qualified and highly skilled tradesmen – each represent some of the finest craftsmen in their respective fields. 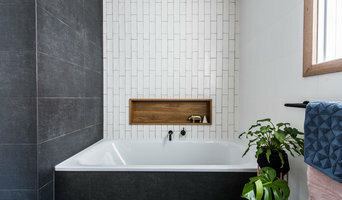 TITLE are Registered Building Practitioners in Victoria, a member of the Master Builders Association and are accredited Green Living builders. 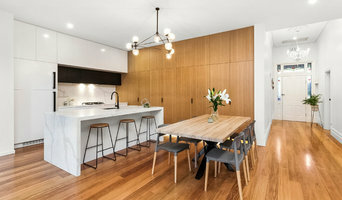 Kinghorn Constructions are a reputable Melbourne-based domestic builder that specialise in various aspects of new home construction, renovations, extensions and general carpentry. There is no job that is too big or too small and we are confident that all your construction and building requirements will be accomplished. Our experienced and skilled crew provide a friendly service combined with high quality construction and building with an aim to exceed expectations. All work is done by a qualified team member of Kinghorn Constructions and we pride ourselves at being courteous, punctual, and focused on every project. Through the impressive impact on all our clients, most of our clients will return to us for future projects. This trust in Kinghorn Constructions are the foundations of the company remaining strong. We persist to continuously collaborate and improve on skills relevant to the construction and building industry with to not only meet but exceed standards. At Porter Davis, we like you to know our belief about why we exist and what we hold true. We think what we do matters, because a new home is so much more than bricks and mortar. We believe a new home is the foundation to the picture of how life should and can be. It promises the future and frames the past. It stands strong when the dream may weaken. It flexes to change, stays steady when life runs wild. To us, the idea of a home goes way beyond construction, or service, or design or style. It’s the very cornerstone of life’s hopes and aspirations. And it’s a brave thing to create. We understand and respect that - and those who set out to create their dreams around a new home. We appreciate the fragility of such visions and we exist to protect and nurture those dreams. It’s why above all, we exist to respect the dream. Olympus Crest P/L is a second-generation family-owned business, located in the bayside suburb of Sandringham, and has over 30 years’ experience servicing the eastern and bayside suburbs of Melbourne. We specialize in high-quality Boutique Construction and Luxury Homes. Together with our expert designers, we aim to create truly inspiring and unique custom homes. We also cater for Renovations, Extensions, Alterations and Additions, as well having completed a large number of dual occupancy and multi-unit developments. We pride ourselves on our customer service and the relationships that we develop before, during and after the construction process. At Brownhill Homes, we pride ourselves on building homes of excellent quality while giving you the customer great value for your money. Our houses not only look good but more importantly, will stand the test of time with high quality workmanship throughout. All our workmanship is guaranteed through our association with HIA Choosing Brownhill Homes to be your builder will give you: A guaranteed completion date. We have an enviable record of finishing a home or project on time. The best deal on quality appliances and fittings that we can secure for you from our trusted suppliers. A building company that puts the client first. As a building company that understands there may be design changes along the way, Brownhill Homes is flexible enough to make these changes at a pre quoted cost. This cost will be the final invoice you receive for your variation. A thoroughly professional and friendly team to help you through the construction process. The time and attention to maintain communication with our clients throughout the construction of your project. A commitment to excellence in every project we undertake. Weekly updates on the progress of your build to ensure you are always kept up to date. We will make the building process as efficient and enjoyable as we can for you while you watch your new home or development take shape. When you have a dream to build or renovate a home, you want to work with a team that can see your vision, a team that can listen to your ideas, and a team that can provide innovative and creative solutions. With over 60 years combined experience in the building industry, AGN Builders know what it takes to build or renovate your home. Our family-owned company takes pride in the relationships we have built over these years, this pride stands behind our strong service commitment to our clients. AGN Builders core expertise is our ability to satisfy clients. Across our range of services, our goal is a collaborative, creative approach that values listening to ideas and building them into your life spaces. Providing innovative and unique solutions, AGN Builders deliver homes that are custom built to your specifications. The exceptional quality of the homes we build, the homes we renovate and the additions we add to your homes will be Creating Life Spaces for Living.